FOX has announced the date for Fringe's final episodes. In about two and a half months, it will sadly be time to say goodbye to Peter, Olivia, Walter, Astrid, Nina and the rest, as FOX has announced a January 18 date for Fringe‘s two-hour series finale. Here’s the press release from the network. As the Fringe team fights for humanity’s future in the fifth and final season, the imaginative journey toward the end of the acclaimed series will culminate in a climactic conclusion during the two-hour final-two-episodes event Friday, Jan. 18 (8:00-10:00 PM ET/PT) on FOX. This milestone date will also celebrate the series’ 100th episode. 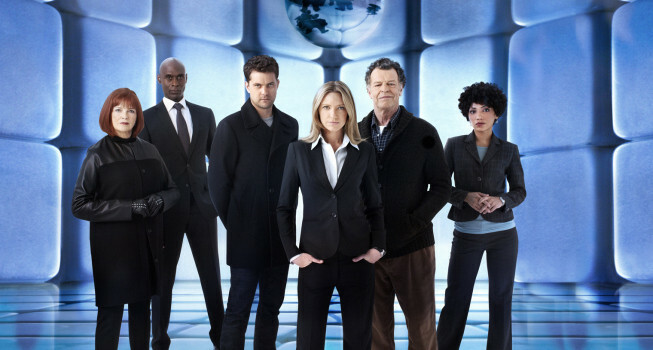 Throughout FRINGE’s thrilling five seasons, the series has followed Special Agent OLIVIA DUNHAM (Anna Torv), enlisted institutionalized “fringe” scientist WALTER BISHOP (John Noble) and his globe-trotting, jack-of-all-trades son, PETER (Joshua Jackson) as the Fringe team explored mysterious occurrences linked between parallel universes, doppelgängers, Observers and unimaginable threats. The unlikely trio supervised by Special Agent PHILLIP BROYLES (Lance Reddick) and assisted by ASTRID FARNSWORTH (Jasika Nicole) – often led them to science and technological corporation Massive Dynamic, founded by WILLIAM BELL (guest star Leonard Nimoy), and its enigmatic chief executive, NINA SHARP (Blair Brown). The fifth and final flash-forward season of FRINGE is set in 2036, when the “Observers” have become ruthless rulers of a dystopian society. As the battle for the world’s future continues to unfold, the Fringe team is in the midst of making its final stand to save humanity. In the aftermath of the devastating loss of Peter and Olivia’s daughter, ETTA (guest star Georgina Haig), the intensity escalates as the combat continues and Peter makes a pivotal and game-changing move in the all-new “An Origin Story” episode airing tonight (9:00-10:00 PM ET/PT) on FOX. Created by J.J. Abrams, Alex Kurtzman and Roberto Orci, FRINGE is produced by Bad Robot Productions in association with Warner Bros. Television. Abrams, Bryan Burk and J.H. Wyman serve as executive producers, while Akiva Goldsman is a consulting producer.